Lotus is developing the City of San Jose’s long-term implementation plan to transform the City over the next 20-years through multi-benefit infrastructure that maximizing social and environmental benefits while meeting regulatory requirements. The GI Plan responds to both NPDES MS4 Phase I permit requirements as well as a Consent Decree. The Plan must show how the City will reduce pollutant loading to the Bay to meet water quality objectives, including bacteria reduction and TMDL requirements for mercury and PCBs. Along with its teaming partners, Paradigm Environmental and EOA, Lotus is establishing how source control, redevelopment requirements (C3), green streets, regional capture projects, LID retrofits, and additional City policies can collectively combine to meet runoff capture targets cost-effectively. 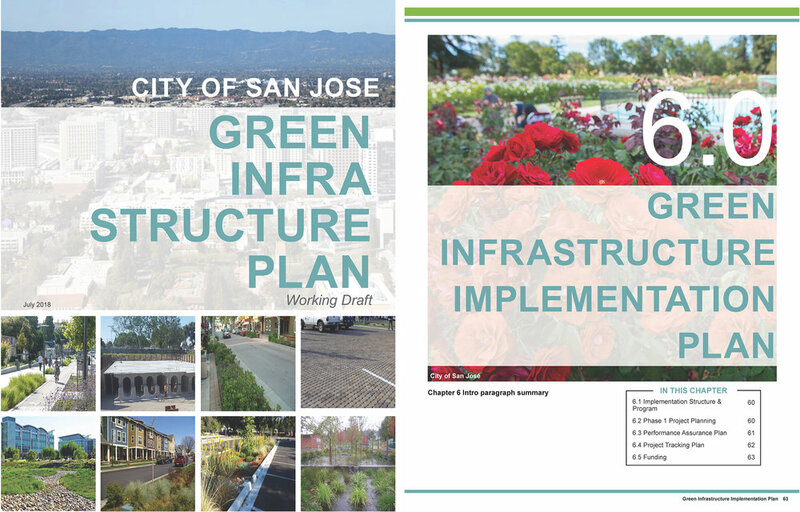 The Plan builds on the results of another Lotus’ project—the Stormwater Resource Plan (SWRP) for Santa Clara County—to cater project prioritization and program implementation to the needs of San Jose. This includes reviewing and developing updated language for the City’s existing planning documents, policies, and ordinances. It also includes developing the funding and implementation mechanisms needed to ensure a successful Plan. The implementation tools developed by the Lotus team include: GI detail and specifications, concept designs for stakeholder engagement and grant applications, a maintenance and inspection field guide, a project performance tracking tool, and a monitoring plan.